A new 58-tonne reef vessel arrived in Cairns last week, taking a cruise as cargo aboard the heavy-lift ship BBC Alberta. 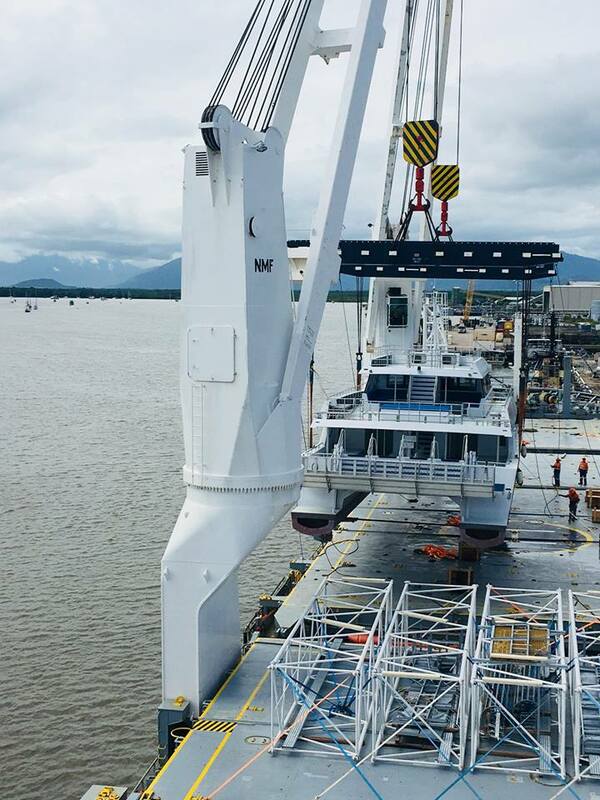 NSS was assigned to lift and shift the Calypso XII, using the BBC Alberta’s cranes, beams and slings to lower it into the water at Port of Cairns. The vessel was 24.4m long, 9m wide and 7.2 m high. NSS Cairns co-ordinator Scott Gillespie said the operation went very smoothly. “We’ve done a few (vessel transfers) over the years – most recently discharging two patrol boats for the government,” Mr Gillespie said. That case, in May 2017, involved two 100-tonne defence vessels arriving from Tonga and Fiji for refurbishment.